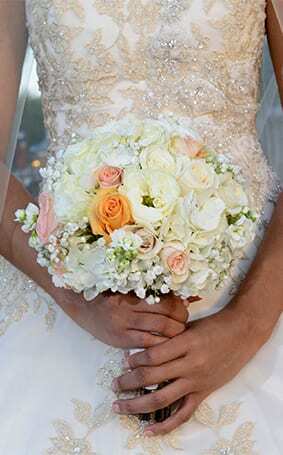 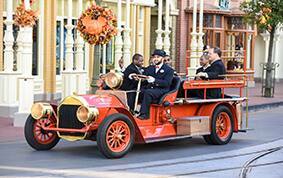 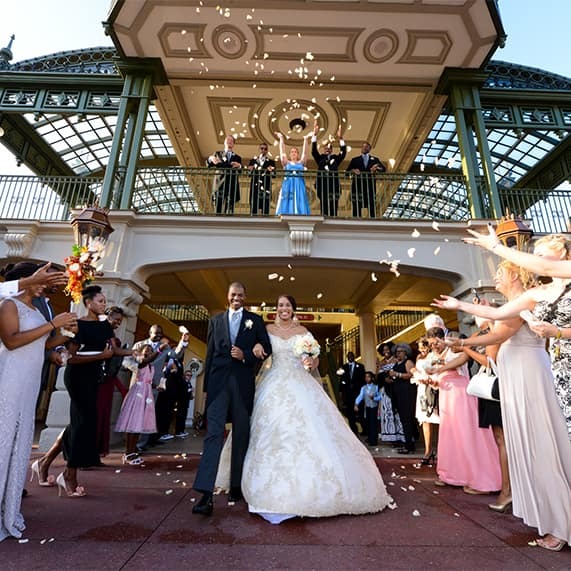 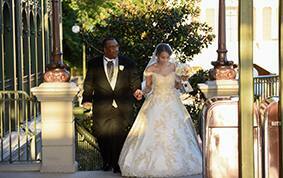 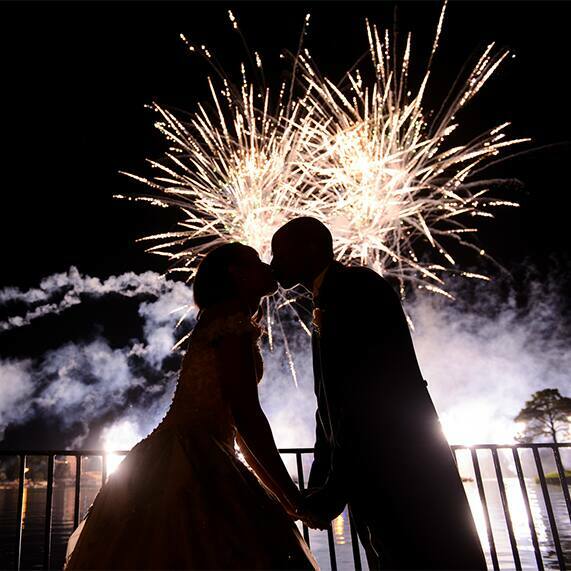 Their ceremony at the Walt Disney World Railroad Train Station evoked a charming atmosphere where guests felt as if they were on an amazing vacation which happened to include a wedding- exactly what the couple wanted for their big day. 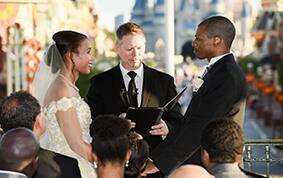 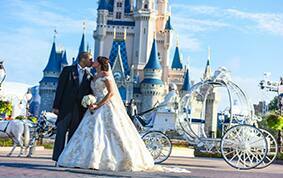 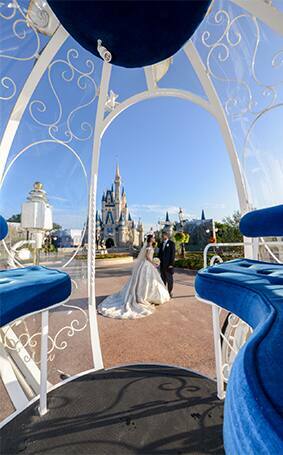 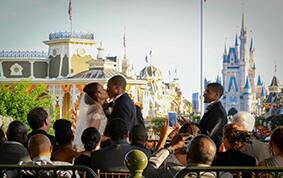 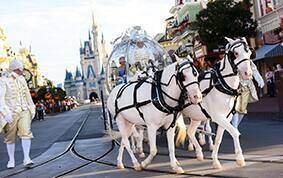 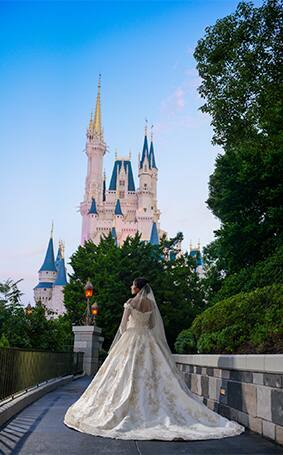 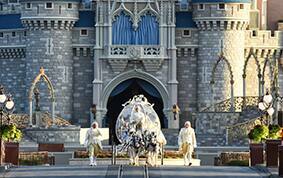 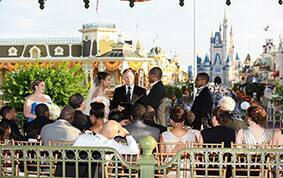 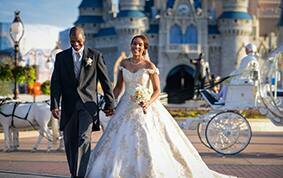 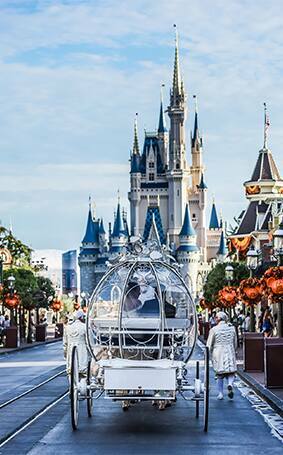 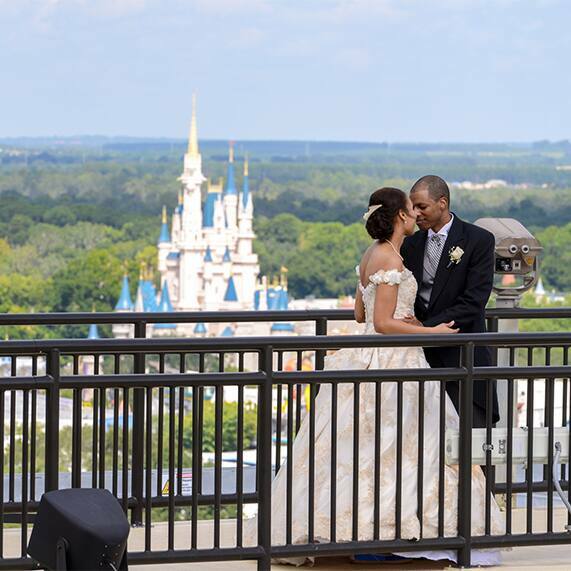 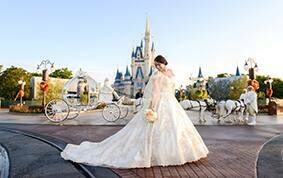 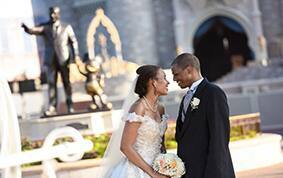 Even though the ceremony was intimate, it definitely was no less grand as they said "I do" in the heart of Walt Disney World against the picturesque backdrop of Cinderella Castle. 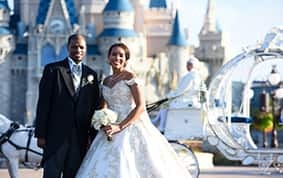 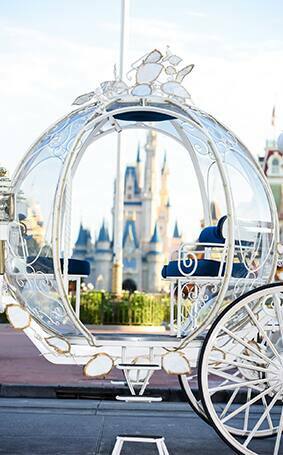 As the couple walked away as husband and wife toward Cinderella's Coach it was in that moment they both felt they were indeed married. 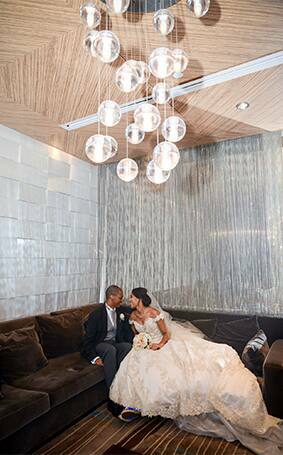 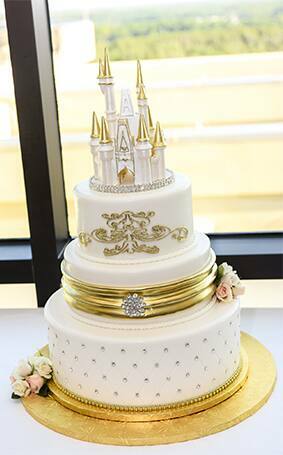 They celebrated their fairy tale love with a brunch ceremony at Disney's Contemporary Resort...complete with a panoramic view of Magic Kingdom. 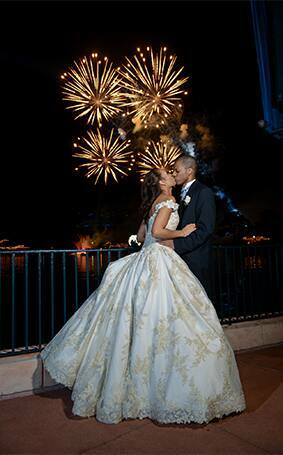 What a lovely dress!!! 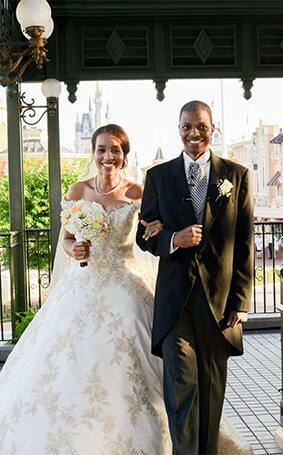 You two are beautiful together.